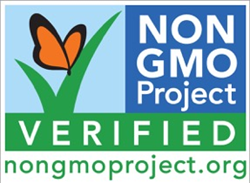 The Non-GMO Project offers North America’s only independent verification for GMO avoidance. Betsy’s Best seed and nut butters are also gluten-free, low in sugar, and feature delicious, superfood ingredients. Choosing non-GMO ingredients was an important part of that process, so we are especially proud to be Non-GMO Project Verified. Betsy’s Best, maker of delicious and nutritious gourmet nut and seed butters, is proud to announce that their Gourmet Almond Butter, Peanut Butter and Sunflower Seed Butter have been Non-GMO Project Verified.